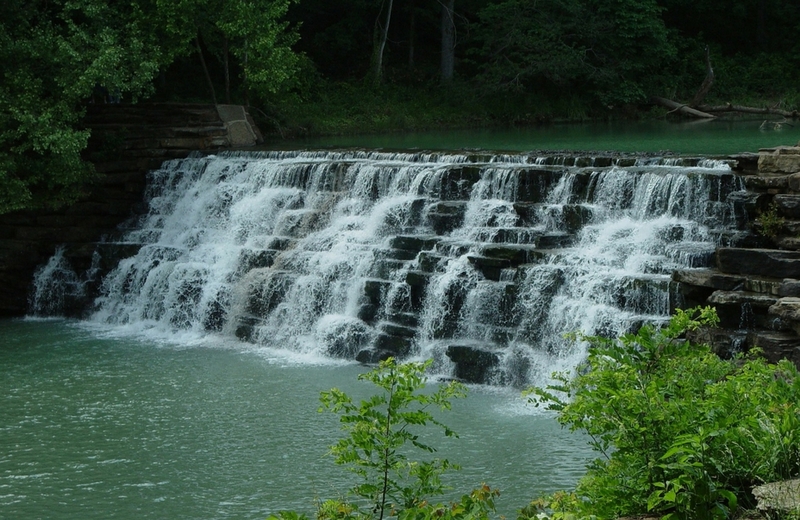 9 Things To Do In Arkansas For A Memorable Vacation - Family Go Time!Family Go Time! For those who know and love Arkansas, we all might say that it’s a pretty underrated state. The cost of living is relatively low, the winters won’t kill you, and there is lots of outdoor activity at your fingertips. I spent a good portion of life living in the Northwest corner of Arkansas, right up there by the University of Arkansas and Wal-Mart headquarters. This Northwest area includes the cities of Fayetteville, Springdale, Rogers, and Bentonville, as well as a few other surrounding towns. It’s grown significantly over the last 20 years, and there are lots of new businesses and attractions pulling visitors in. If you’re looking for food, shopping, activities, or all three, Northwest Arkansas is a great idea for your next roadtrip. There’s a bit of that wonderful southern hospitality mixed with trendy food trucks and breweries. 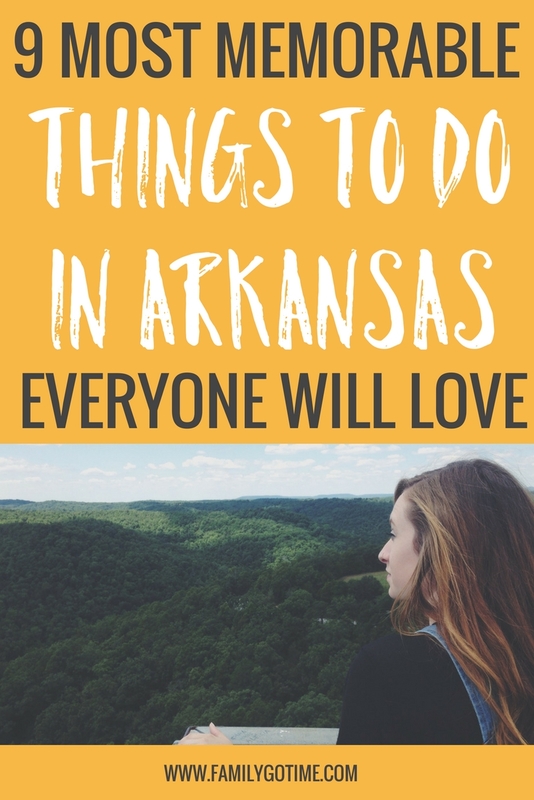 You will love the people, and you’ll love all Arkansas has to offer. Hugo’s – For great burgers, fries, and their classic grasshopper crepes, check out this unique spot. If you’re in downtown Fayetteville, you have to stop by Hugo’s. With it’s cool, underground entrance and its menu, you won’t regret this decision. Hammontree’s Grilled Cheese – Who doesn’t love grilled cheese? With an exciting, delicious menu like this one, you will want to go back again and again. Enjoy homemade soup, local products, and 15 different grilled cheese options. Crepes Paulette – This, in my opinion, is Arkansas’ best kept secret. You can find this food truck at the Bentonville square, but it’s only open on the weekends, so make sure you get there when you can! The line may be long, but these crepes are so worth it. You can get nutella and strawberry, or go the savory route with spinach and cheese. Whatever you choose, you’ll be happy. Arsaga’s Coffee Roasters – If you’re a coffee fan, Arsaga’s is a must. They have several locations in Fayetteville, but the depot is a favorite spot. The coffee is amazing, and the cafe items are great additions to your morning caffeine intake. Plus, the atmosphere is cozy and aesthetically pleasing, so you can bring a book and enjoy the space. Monte Ne Inn – This sweet restaurant will take you back to days of home cooked meals around the table. Enjoy amazing fried chicken and comforting sides, as well as tasty desserts. The dinner is served family style and it’s all-you-can-eat, so be prepared to fill up! Crystal Bridges: Museum of American Art – While you’re in Northwest Arkansas, you must visit Crystal Bridges. Not only is this museum full of fascinating art, it’s free! Some exhibits may cost an extra small fee, but you can enjoy a day of culture and activities in this beautiful building. Downtown Fayetteville – If you want a day of shopping, wandering around a cute town square, and sipping on good coffee, downtown Fayetteville is a great option. Visit the great boutique shops and restaurants nearby. Or if you’re there in the spring or summer, enjoy the Farmer’s Market on a Saturday. There’s lots to do, see, and enjoy! Bike Bentonville – If you and your family are up for some adventure, Bentonville has excellent bike trails. You can take simple rides on paved trails, or go for the adrenaline rush and take the mountain bike routes. If you don’t have your own bikes or don’t want to travel with them, you can rent some from local bike shops. See the beautiful Arkansas area the best way – on a bike. Walton Arts Center – While you’re in town, see a Broadway show or a concert! The Walton Arts Center offers a great variety of performances throughout the year. You can buy tickets ahead of time and find a great show for you and your spouse, or the whole family. Northwest Arkansas is a bit of a hidden gem. Within this area, there are trails to be explored, new foods to be savored, and experiences to take in. Whether you’re traveling with friends, your spouse, or the whole family, you will find lots to do in this little corner of Arkansas. Enjoy!